The best first aid happens before the emergency even occurs. Being prepared with proper training and a good first aid kit is the most important step in first aid. These tools will help prepare you. 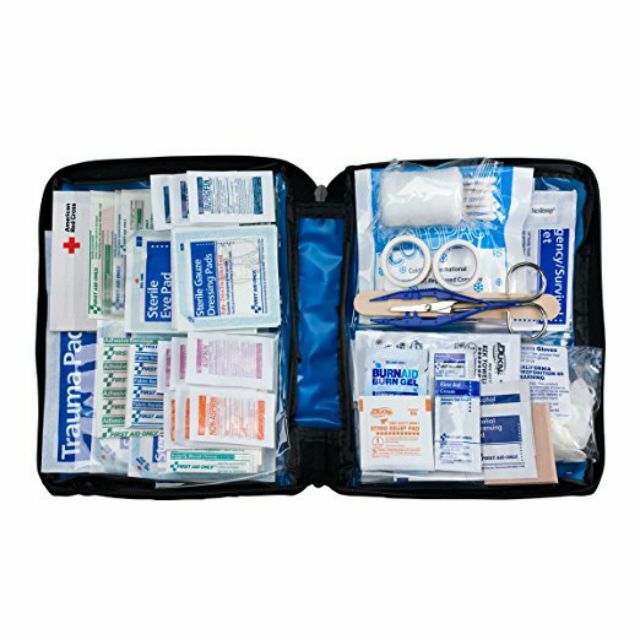 A good first aid kit needs some essential items to cover the basics. These will help you get started. Take a tour through a first aid kit. Pictures of the most common items you'll find with descriptions of how you might use each one. These are the items you can't do without. Ready to begin? This will help you put together your very own first aid kit. Traveling creates unique first aid needs. Where you're planning to travel dictates the kind of kit you'll need. The more remote the location, the more complete your kit should be. Stay happy at the Happiest Place on Earth - or any other fantasy land for that matter. Going on an airplane? Know what can go and what can't. Stocking your first aid kit with drugs presents a whole new set of challenges. Not every victim is a close family member. Carry the proper tools to protect yourself from infection. Do your homework before you go to class. Prepare yourself for training with the right tools and a little research. Some good things to know before a medical emergency strikes.